Most people like to avoid the hard things. Their lack of self-discipline points them toward other easier choices. I was talking with a group of competitive swimmers and I asked, “What’s most difficult about swimming? A young swimmer raised his hand and said, “At 5:30 in the morning my bed is much warmer than the pool.” The bottom line is that self-discipline is tough because there are always attractive, easier options luring us away from what’s best for us in the long-run. Self-discipline usually involves doing the HARD THING. So, on the surface it’s the least attractive option. We are constantly presented with choices between immediate gratification and long-term benefits. This raises the key question for parents: How do we teach our children this important life skill of CHOOSING to do the things you don’t feel like doing, but you know are good for you? I have three suggestions to help you with this lesson. Break large projects down into smaller bite-size pieces. Thirteen-year-old Nicholas had to prepare for a promotion exam that would elevate him to a Brown Belt in Karate. He had 30 days to practice his skills, but the task seemed over-whelming due to the number of skills. Procrastination was setting in! His mother helped him by providing a calendar so he could schedule just a few skills to practice every day. Breaking down the task into manageable daily bites gave Nicholas the confidence to chip away at his list of skills a little bit at a time. 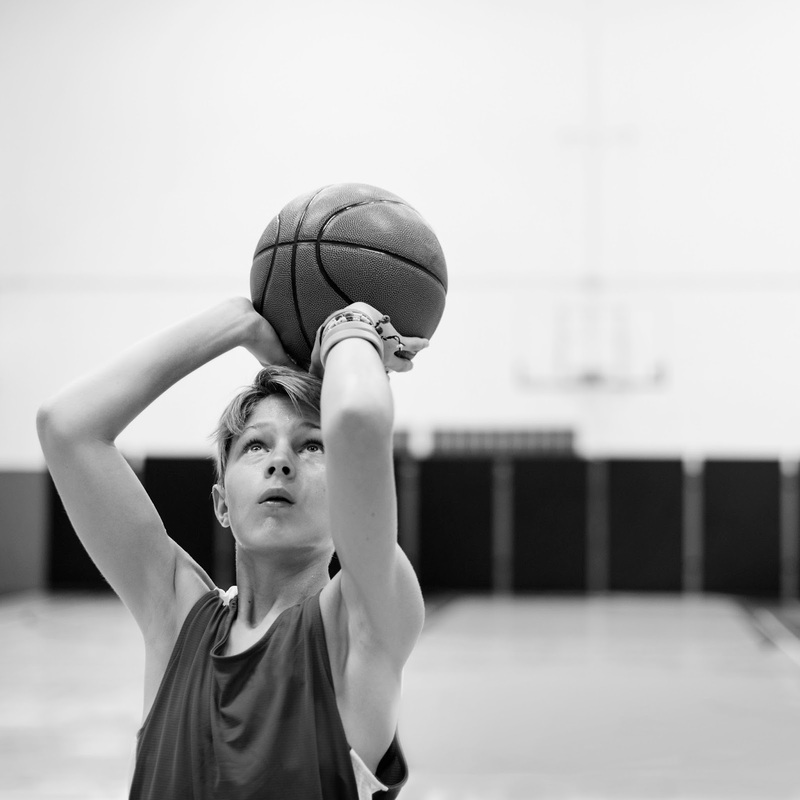 Learning self-discipline in smaller doses helps young athletes. Give children some control over making tough choices. Another strategy for strengthening self-discipline is to have your children practice doing the hard thing the majority of time, but less than 100% of the time. If the goal is to eat healthy snacks, allow your children to choose their snacks throughout the week, but they can only choose junk food 3 times per week…all other choices need to be healthy. This strengthens the self-discipline muscle. Teachers accomplish the same thing when they give a math assignment of 20 tough problems, but tell their students to choose 15 to solve. A sense of control over one’s choices also strengthens the self-discipline muscle. Put triggers in their environment. The third strategy involves the use of triggers, or visual cues that remind us to do the hard thing. A runner who places his shoes at the foot of his bed is giving himself a visual reminder to go out and run first thing in the morning. When our son was in grade school he struggled to learn his spelling words each week. Starring at the words on a page didn’t get the job done. So, we placed a large white board in his room. Each day he would repeatedly write some of the spelling words on the board. The presence of the whiteboard was a trigger to remind him to do the work, and it made the memorization more fun. Triggers work!